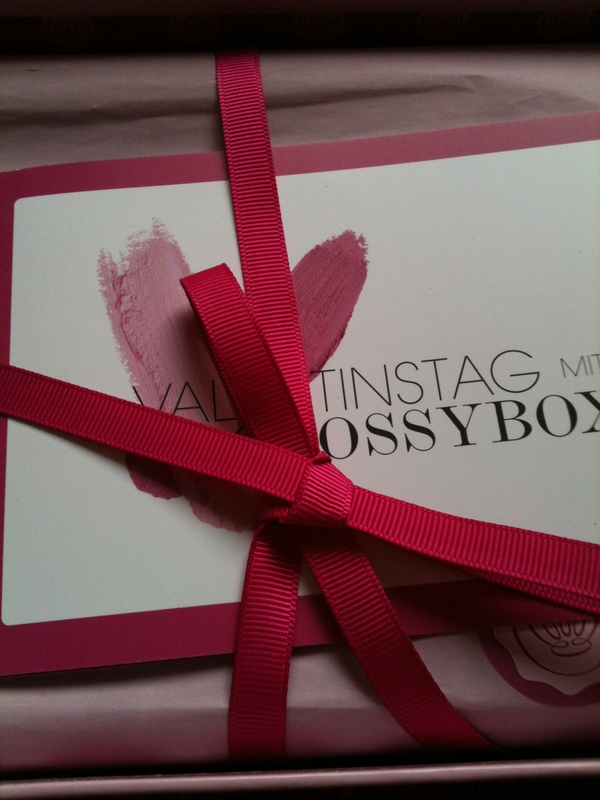 Today I received my Glossybox for the month of February! I feel like I have just posted my review of January, and there’s already another one! Usually Glossyboxes come at the end of the month, but February box is Valentine’s box and they always make sure it comes before the 14th. They ditched the usual one colored box design for this. Very kissy. First peek inside. It contains Anatomicals Puffy the Eye Bag Slayer wake up under eye patches. A Models Own Nail Polish: This does not seem to have a name or number? It is a glitter polish with different sizes and colors of glitter, mostly red. Which I immediately used this morning. It is highly pigmented (none of that sheer wash of color nonsense) and swatches true to pan. It is a very pale slightly peachy color with beautiful multi colored shimmer. The shimmer is not very visible, though. I used it all over my lid. It does not crease (visibly at least) but it fades around the five hour mark. Alright, that’s it. 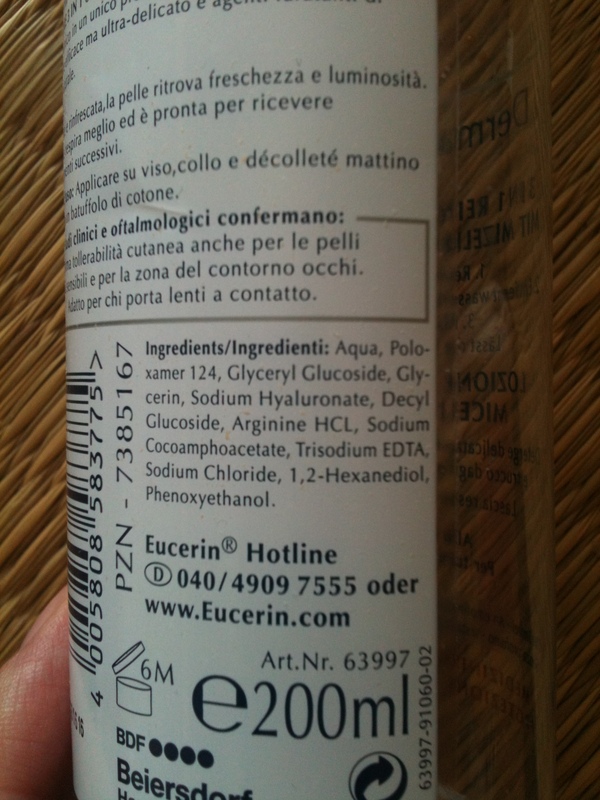 Apart from the Eucerin lotion all products are full sizes. There’s a definite trend here. 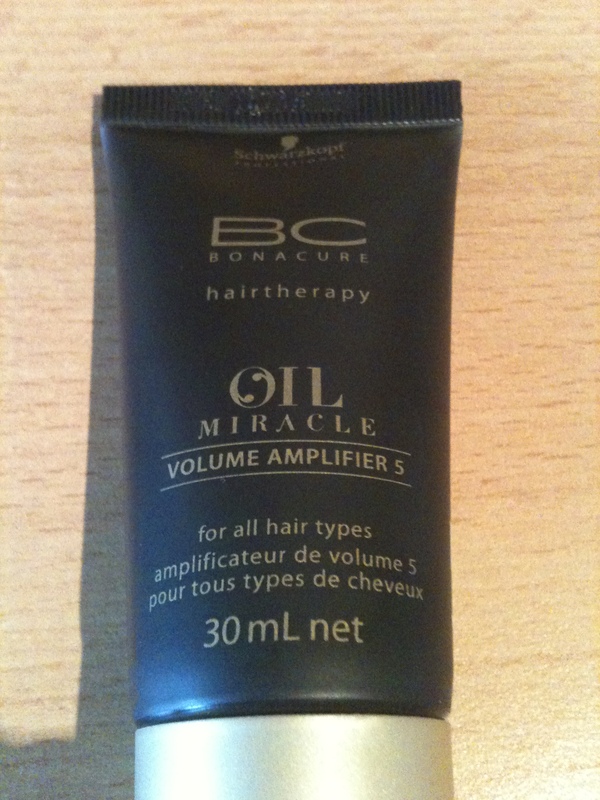 Again a full sized hair conditioning product, but at least a new brand, not Gliss Kur or Syoss again. 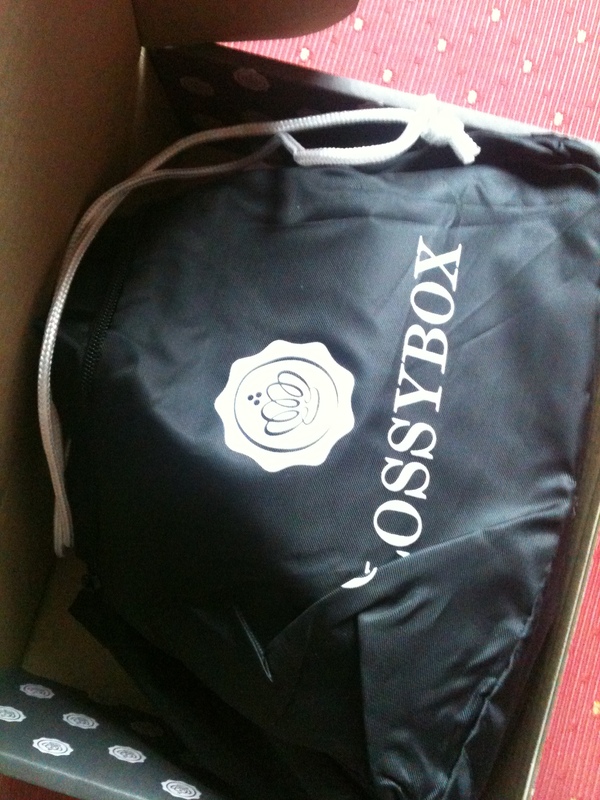 Dear Glossybox, if you insist on the hair products, here’s a new idea: it does not HAVE to be a conditioner. You can add shampoo, dry shampoo, hair spray… ? 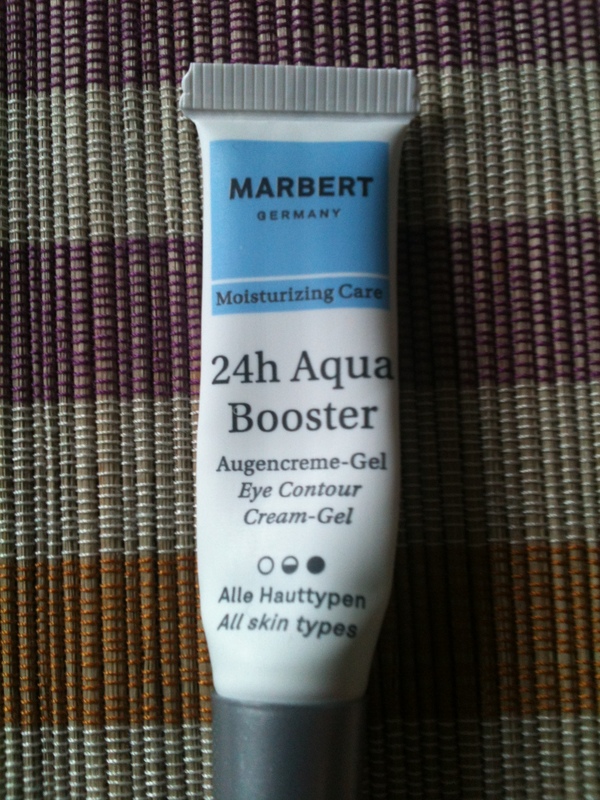 Marbert 24h Aqua Booster eye contour gel: great eye cream, applies nice and feels light, moisturizes well. 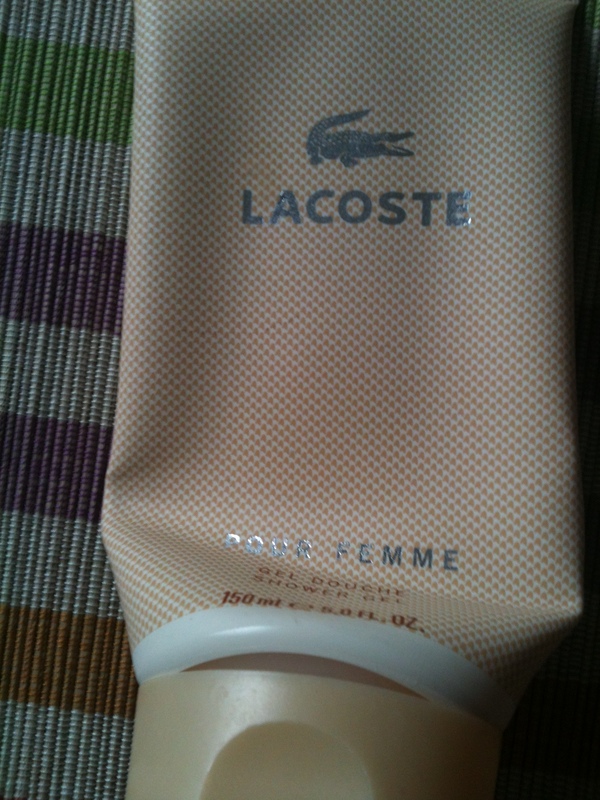 Lacoste Pour Femme shower gel: bought it because I loved the body lotion so much. Still my favorite scent; sad to see it go. 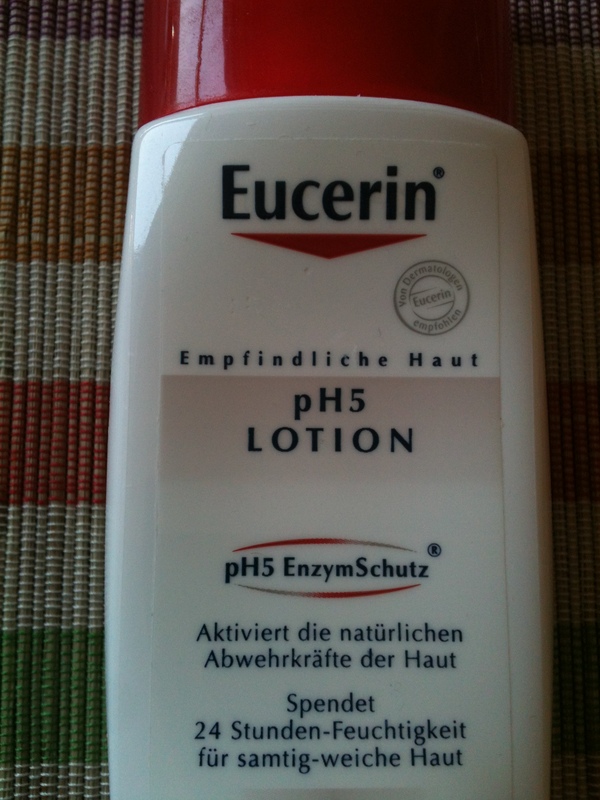 Eucerin pH5 Lotion: This is a body lotion specifically for sensitive skin and it says it’s good for people with allergies. It makes my skin feel very soft, but that’s about it. The smell and feeling mostly remind me of nivea cream. Despite the fact that it claims to be good for people with allergies, it has perfume in it, and it’s not the last ingredient either, it’s somewhere in the middle. 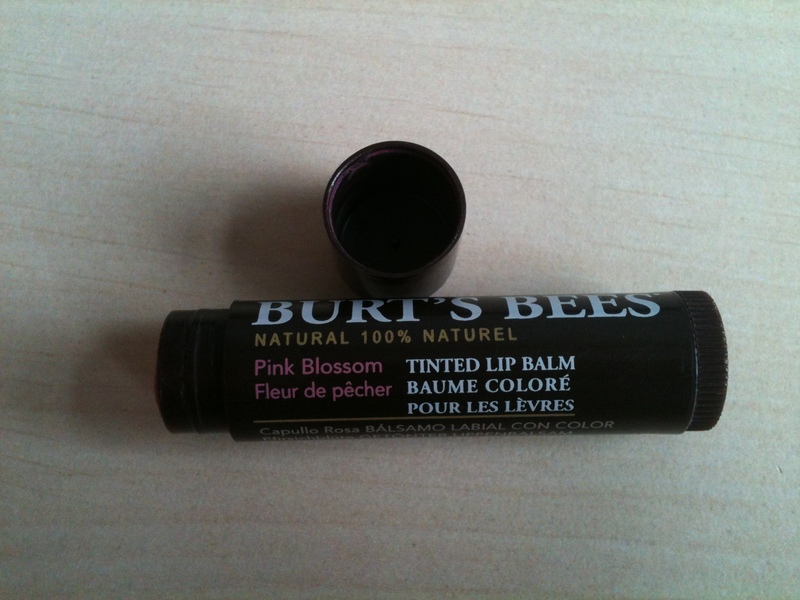 Burt’s Bees Tinted Lip Balm in Pink Blossom: I used this up so thorougly I can’t even show you the slightest trace of the color. I love this thing; it is good for my chapped lips, it gives visible color and it tastes and smells so good. 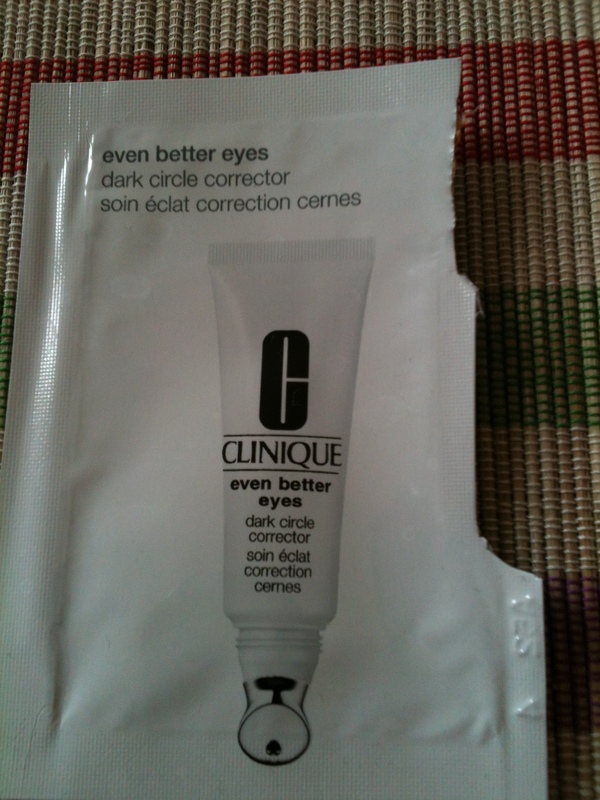 Clinique even better eyes dark circle corrector: you can see the sample was tiny, but I can tell from it feels great on the skin. I can also tell you it is very orange. Like, I know Lisa Eldridge said it’s good because it gives color correction but let me repeat this is VERY ORANGE. I could only use it at night because I would look extremely sick with it on, like I had one of these medical salves on. I think you can only use this during the day if you are dark skinned enough to cancel it out. I know the orange is supposed to cancel out the dark violet of eye shadows but it is hard to get it only on that area and nowhere else, also I want eye cream all underneath my eye and not just there. Also, despite the strong color my dark circles were not concealed the slightest. But it doesn’t need to, I’ve got concealer for that. I think I prefer my eye creams to be eye creams, not color correcting mumbo jumbo, thank you. But does it help lighten the existing dark circles? Maybeeeee? I didn’t have enough product for longer testing but some mornings I believed they looked less worse than usual. 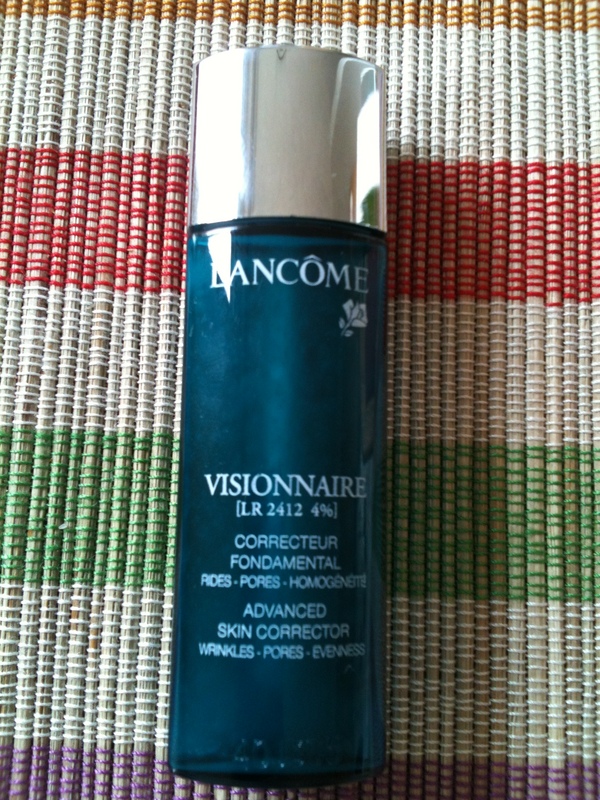 Lancome Visionnaire serum: Oh, but this is really good. I like it even better than Biotherm’s Blue Therapy serum. I used this twice a day and no moisturizer afterwards because I didn’t feel like I needed one. It claims to be an advanced skin corrector that lessens wrinkles, pores and makes skin more even. I can’t say much about wrinkles, I didn’t notice anything here, but I don’t have that many wrinkles. And last, evenness? I am not entirely sure what this means. My hyperpigmentation didn’t seem to go away while I used this. (But the age spots are lighter right now, presumably because I haven’t been in the sun.) My old discolored acne scars became smaller and lighter, though. It was not as extreme as with the blue therapy serum, but that may be because after the blue therapy serum, most of the work was already done. Why do I like it better than blue therapy? I feel like it does everything that blue therapy does, plus it is so good for my pores (blue therapy didn’t seem to help with blackheads at all). If only Visionnaire wasn’t so expensive, I would purchase a full size. Maybe I still will. And that was it for September empties. I think October will have less, since I just started using all those new products. I’m thinking of making a serum review masterpost, since those are in my opinion the most interesting reviews. I currently use Biotherm‘s Aquasource Deep Serum and I have a sample of Lancome‘s Genifique waiting to be used. 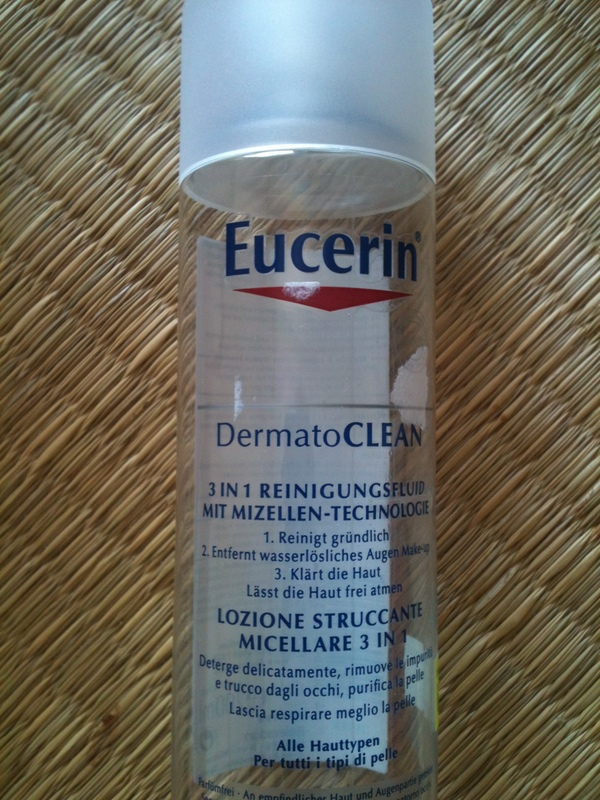 Eucerin DermatoClean: another micell thing. I need to start buying bigger sizes of cleansers, really. I enjoyed using this one a lot; I wish they had a bigger size than 200ml. 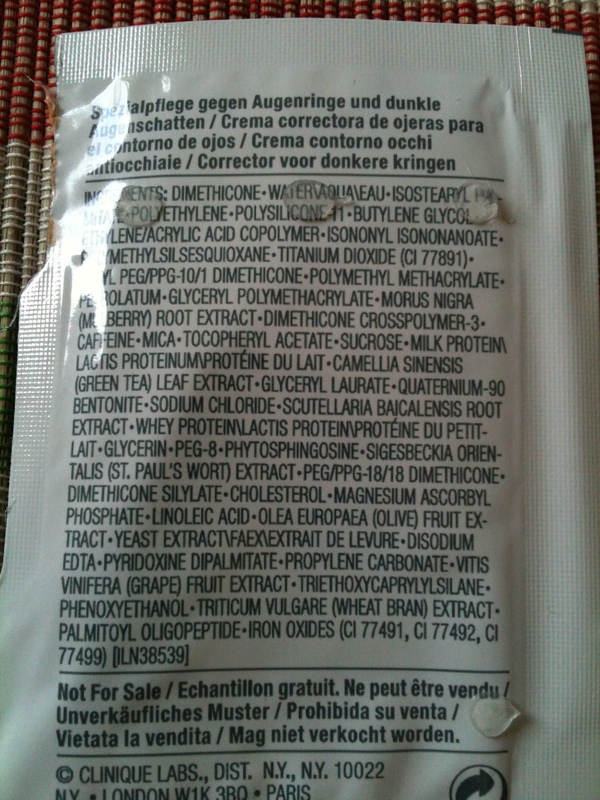 list of ingredients; this product comes unscented, yay! 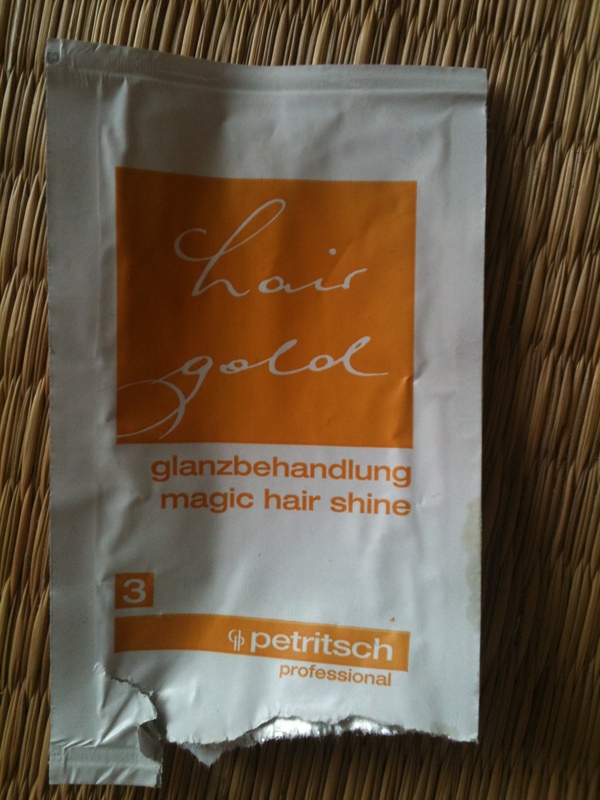 petritsch hair gold hair shine treatment: I’m on a mission to use up testers and such. This thing is not supposed to be a conditioner but you use it like one (put on wet hair, rinse) and it’s supposed to make your hair shiny. Honestly I couldn’t see any difference in shininess afterwards. Since it’s not meant to be a conditioner, the conditioning properties are there, but not as good. You’re meant to use both a conditioner and this but I really don’t see the point. Rexona aloe vera fresh dry deo stick: I used up two of these pretty much at the same time; one at home and one in my gym bag. I’ve already replaced them with the same brand but different scent. You know those questions where people get asked what they would take to an abandoned island and they list stuff like books, ipods, or mascara? 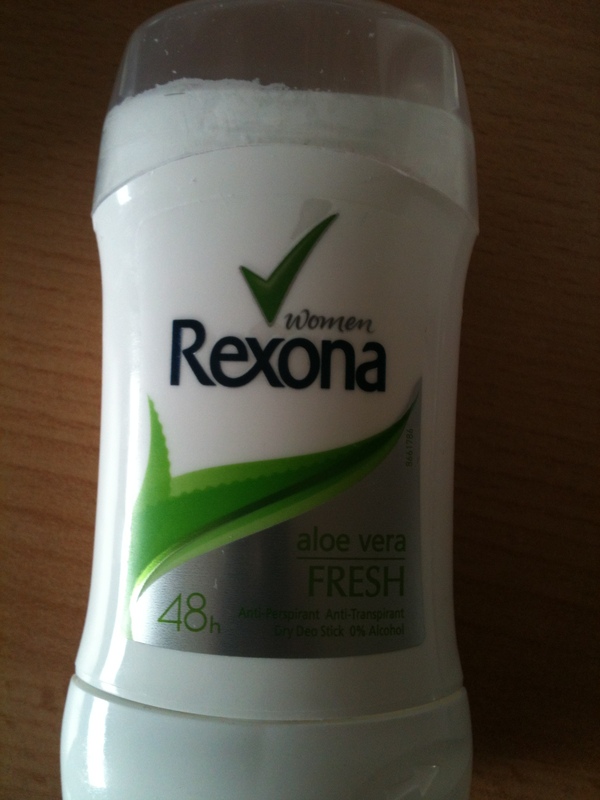 forget all that, I’ll take rexona. I’m willing to live without pretty much every luxury but deodorant. I prefer stick to roll ons or sprays because I don’t want to feel wetness and I can throw them in a bag and don’t have to worry about leakage. Once I had a stick melt inside the car when it was really hot, but even then there was no leaking, the product stayed contained by the cap. I really like Rexona sticks, okay? 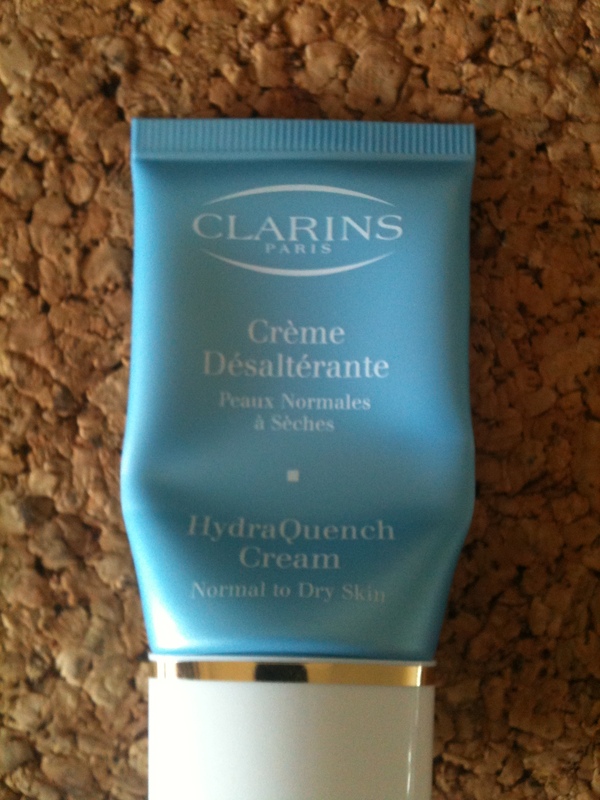 Clarins creme desalterante/hydra quench cream: I found this one underwhelming. Don’t get me wrong, it is a great cream, especially when it’s still cold outside, but the smell and texture reminded me of normal Nivea face cream. It’s good but is it worth the price Clarins asks for a full size? I don’t think so. Maybe it is a super miracle cream and I didn’t discover its greatness yet, but if so, the sample was too small. 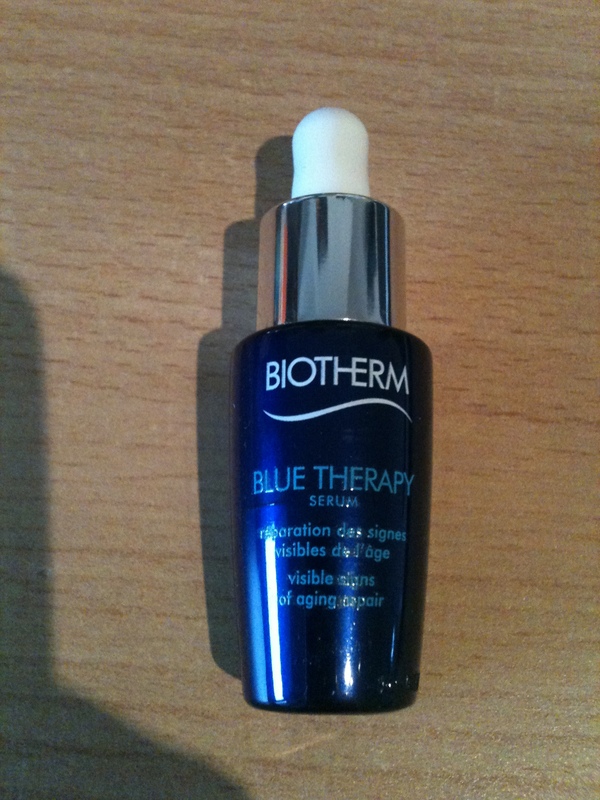 Biotherm Blue Therapy serum: This one on the other hand, omfg. It promises to repair visible signs of aging. That’s quite a lot to promise. I used it morning and evenings for over a month (about six weeks all in all, I had a second smaller sample as well), at first with additional face cream but then I noticed that was not necessary as it gave enough moisture and I stopped using anything else. So, does it do what it promises? I’m not sure if it reduces age related problems, I don’t have this many visible wrinkles yet and I can’t say if it would help with pigmentation problems. But I very much recommend it for acne. I’m a big fan of using anti-aging products for acne instead of acne products. I feel like acne products never moisturize enough and this perpetuates the problem, since the skin produces more of its own sebum which is what bacteria eat. Also some of the stronger acne products, like La Roche Posay Effaclar Duo make me red and swollen and pop the outer skin layers right off. It’s just too strong. 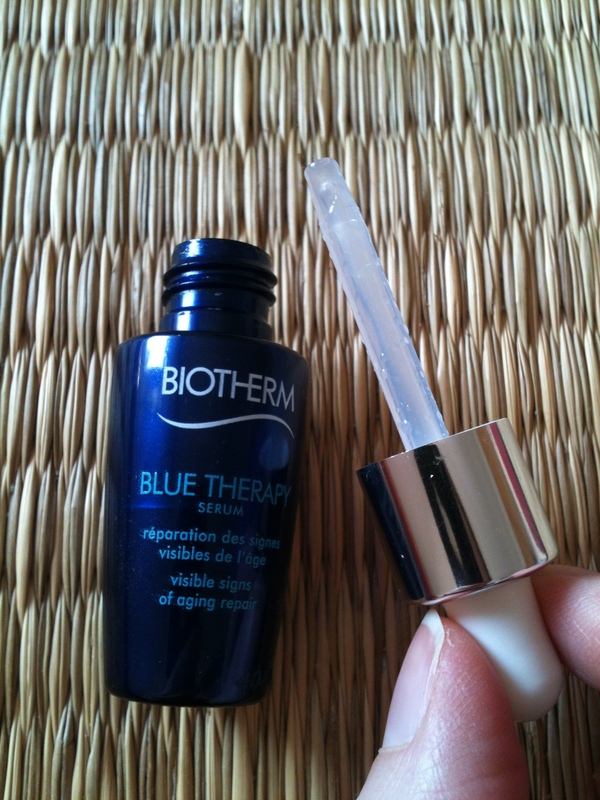 The absolutely only minor downside of blue therapy serum as far as I saw it was that while it got the acne out and evened the scars out some, my pores seemed a little more clogged. By that I mean I felt I had more visible blackheads. I don’t think it makes sense since the product exfoliates, but it has been my observation. I might purchase a full size, but unlike the tester I wouldn’t use it every day. 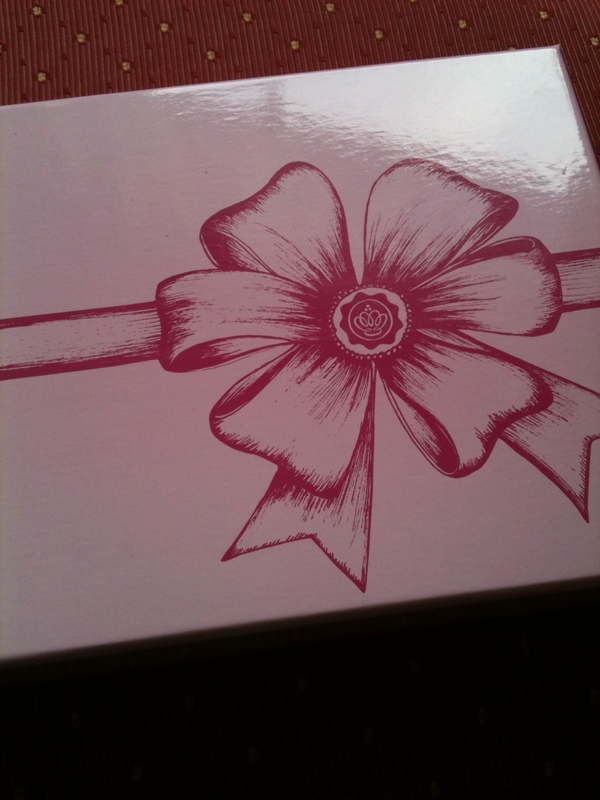 This came in my Feb Glossybox, please excuse if I reuse the pic, but the “empty pot” pic looks no different. 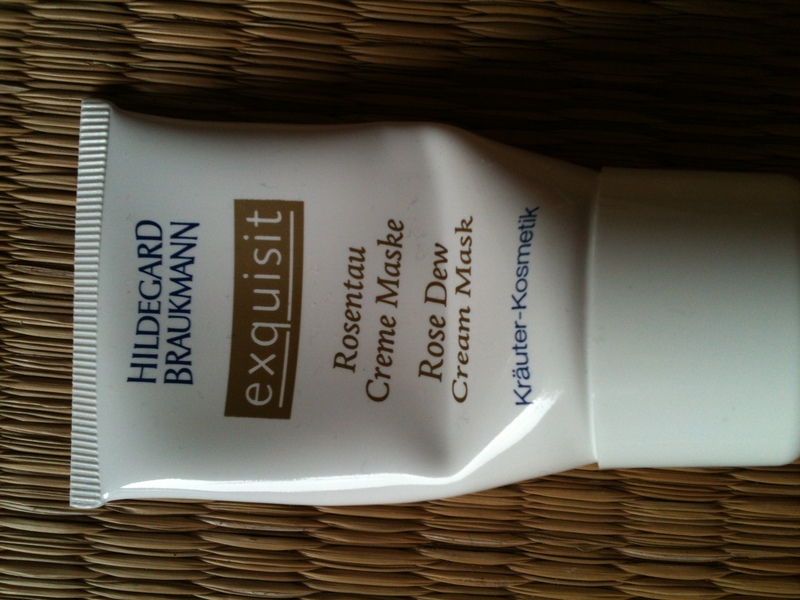 This face cream is for combination to oily skin. I have combination skin, but I’m always weary about products for combination to oily, since they are often very light and don’t give enough moisture to my skin. Oily skin needs moisture too! I should have been more trusting, since it even has “hyaluron” in its name, not just the ingredient list. Upon opening it though, the product looked like a normal cream for dry skin. Application was rich and moisturizing, made my skin super glowy and obviously moisturized! This of course made me worry that it might be too rich and break me out. But that didn’t happen. I think my pores even looked a bit better with this. All in all a great product and I can only recommend it. I would repurchase it if I didn’t have what feels like 8672364 creams to use up. Before I can even talk about the product I have to complain about the packaging. These little body shop bottles are a chore! The first time around they are normal and nice to use, the second time, when there’s only a little product less in the bottle it’s already harder to get it out and from the third time onwards it’s absolutely impossible! Squeeze the bottle all you want, shake it, stick your finger in – this goo stays firmly inside! I’m sad I can’t show you a pic of the used up lotion because the bottle was very battered. The lotion itself smells strongly of fake strawberry, so strong I could smell it washing off when showering the next day. It’s sticky and goopy. It moisturizes the skin a little, but not well enough to put up with the downsides. This was a left over from my obsession with natural cosmetics. It is supposed to moisturize the skin, if I remember properly. The scent was certainly like roses, which is a scent I personally do not like, but I’m sure there’s lots of people who love it. Of course even if I liked the scent, perfume in face products is a pet peeve of mine. The mask certainly did something to my skin, as it was usually red when I washed this off and red means my skin had exfoliated/soaked something up, but after the redness faded I could tell no difference. Another left over from my natural cosmetics days. I don’t usually buy natural cosmetics anymore because I was allergic to a Korres eye cream and was very sad about that. Especially since Korres try to be careful about ingredients. 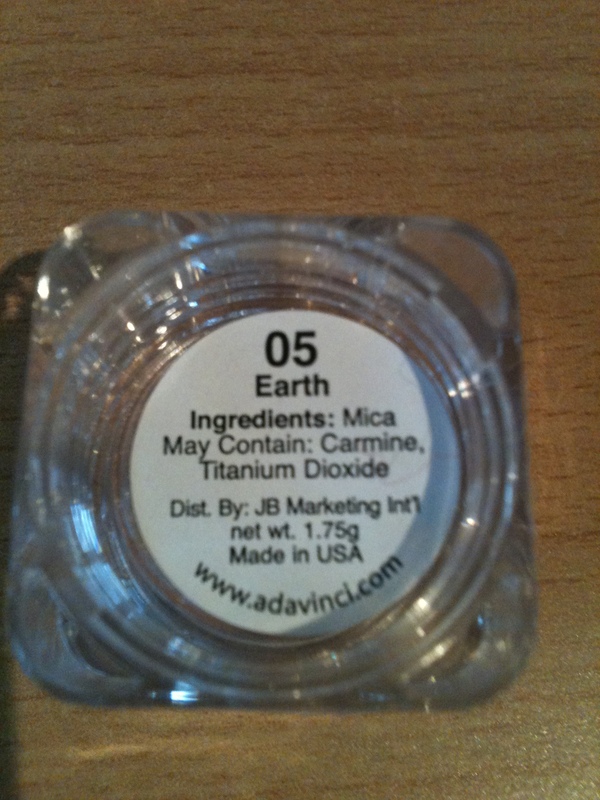 (Of course you can be allergic to anything, but still I’m more wary about natural cosmetics now.) Well I wasn’t allergic to this mask. It’s a typical white clay mask with lactic acid, which exfoliates your skin. It’s good, but not “omg wow”. There are both better and worse masks out there. 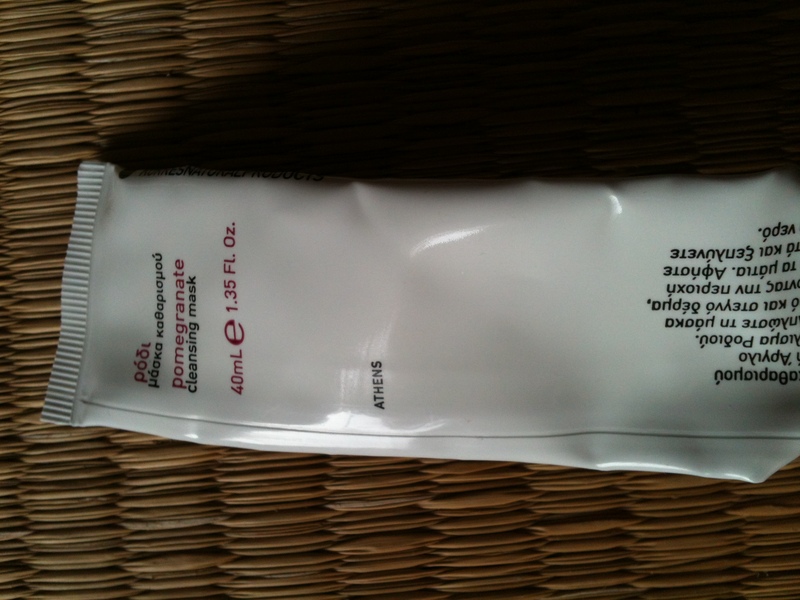 Balea Olive Hand Cream: Very good, very cheap. La Roche Posay Effaclar face cleanser: by this I mean the micellaire cleanser, not the other one. LRP does two different micellaire cleansers, one for normal skin (with perfume) and one for oily and irritated skin (without perfume). The one for oily and irritated skin is the Effaclar one. 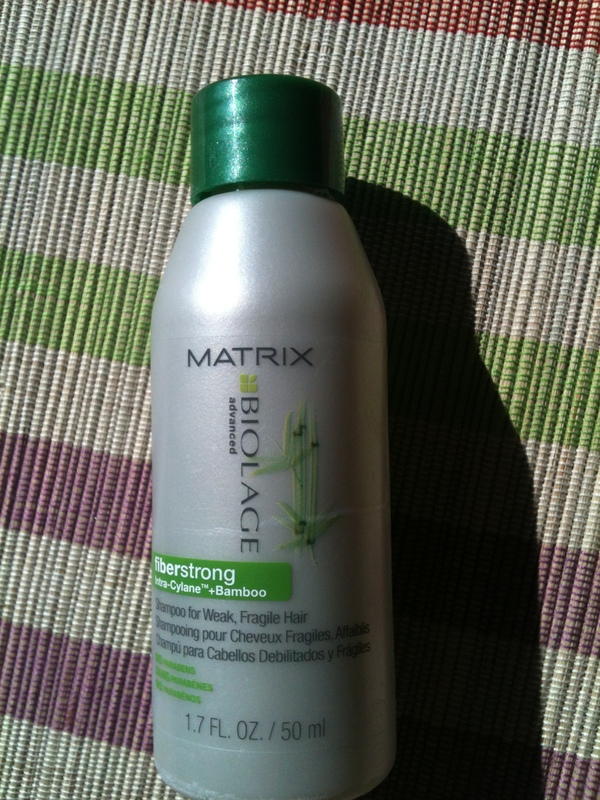 It is very good at removing makeup, didn’t irritate my skin and I believe there were less break outs while I used it. This may have been connected to anything on earth of course. You never know with acne. Anyway, this one is good for eyes, lips and all over the face. Would repurchase if I wasn’t trying to try out aaaaaaaall the micellaire cleansers! By the way I’m using the word micellaire because I find it looks better than micells (Mizellen)… The ingredient to look for is Poloxamer *insert three-digit number here*, since not all the products put “micellaire” or a similar word in the name or description. 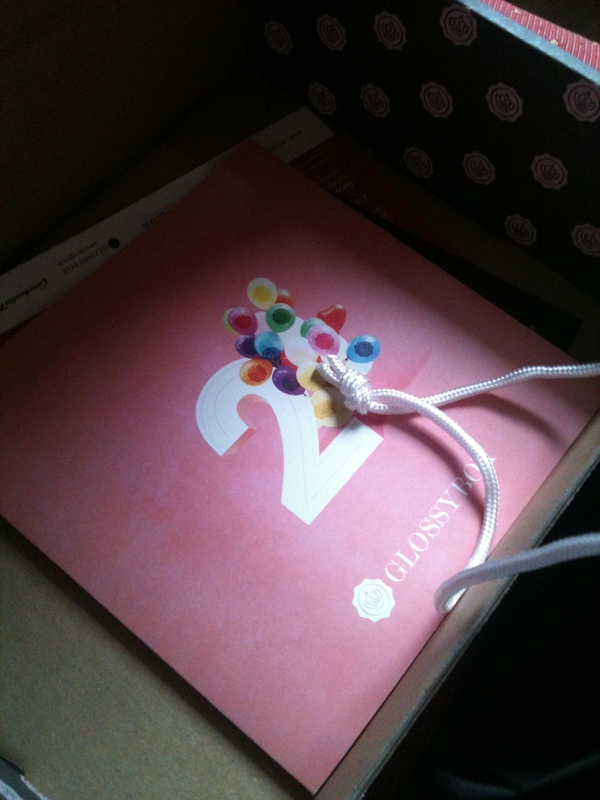 Another month, another Glossybox Austria. But wait, what is that? Where, pray tell, is my box? It’s not underneath this ugly bag either. There is no box. The box is a lie! Great I’ve been wanting to try Kiehl’s for a while. 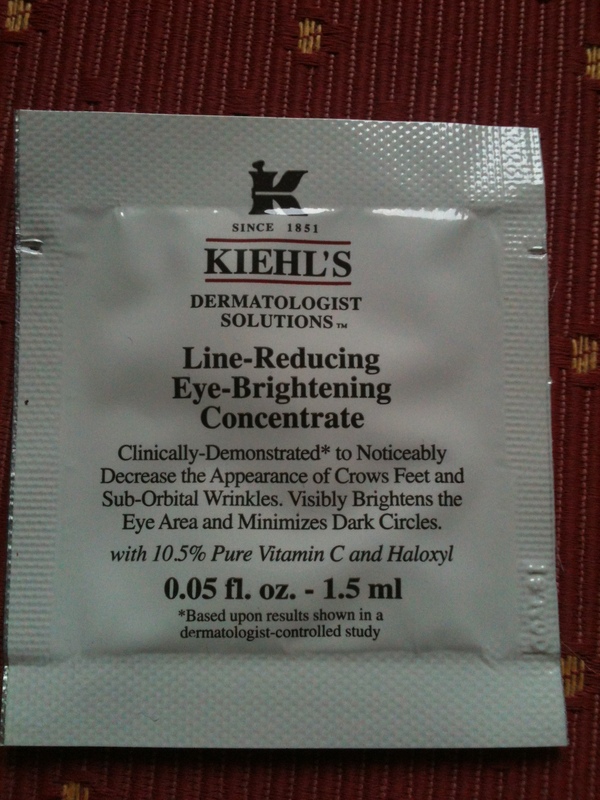 Yes, okay I’ve been wanting an eye cream and it’s another Kiehl’s, but seriously? Am I paying for a sachet here? That’s not very glam. 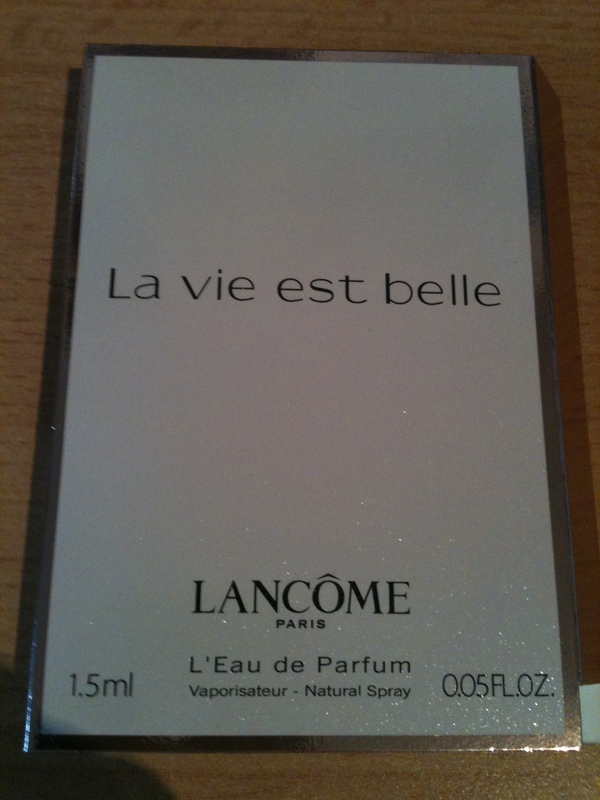 As an extra, there is a tester of Lancome’s La vie est belle. It’s a strong and sweet scent. 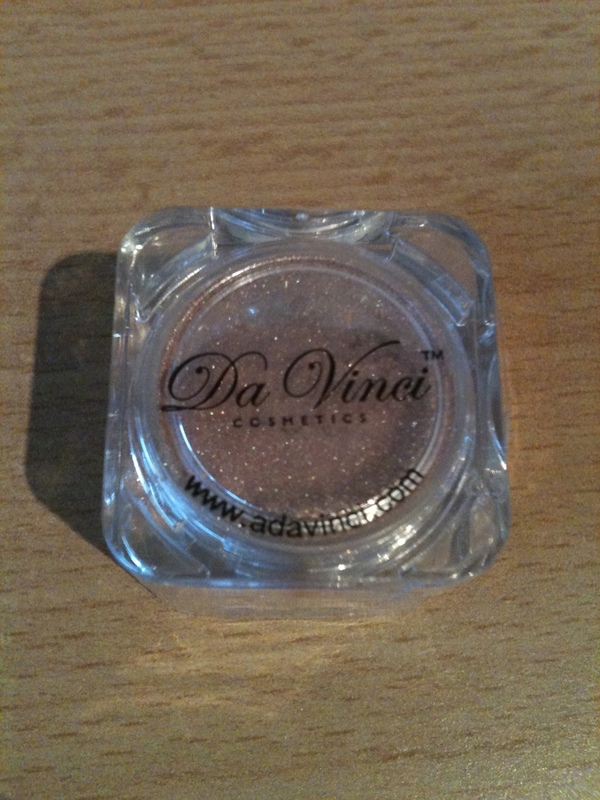 Da Vinci cosmetics Mineral shimmer Powder. In the color Earth. It looks to be loose shimmer powder that you can apply wherever you want. Sadly I’m not a big fan of loose powder, but who knows maybe this one will convince me otherwise. I looooved the shampoo of that line, very psyched to try this. But what is it? How do I use it? It says to create volume, but how? Where do I put it and when? Don’t be so cryptic in your descriptions. 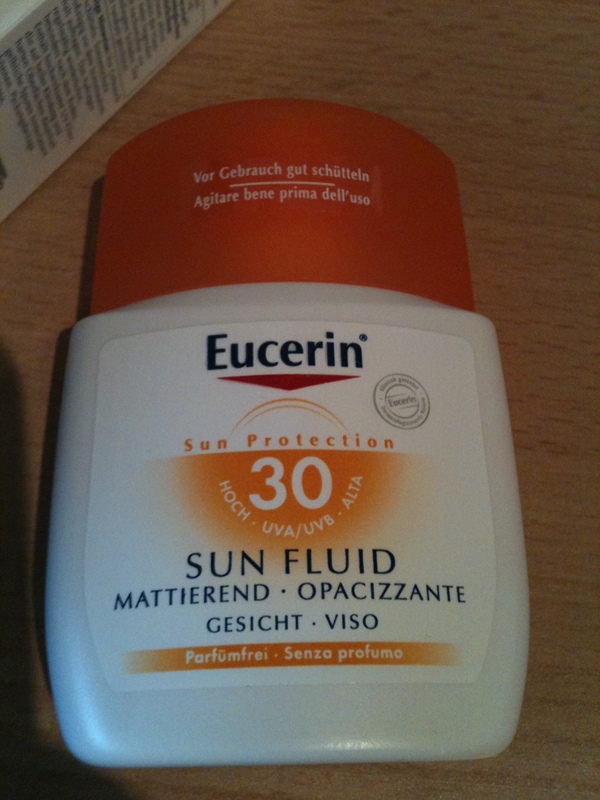 Sun protection for the face, mattifying too! And right as we (hopefully) go out of winter. Yes, great. The good: I like all the brands (the only one I do not know is Da Vinci, so I can’t say I like that one yet), overall a great good result in products. The bad: The mix of sample and full sizes is pretty good. The sun cream is a full size of 50ml and I think the shimmer powder is a full size too, the rest are samples. In general I am a fan of sample sizes, not one of those who want lots of full sizes in their Glossybox. I am paying for luxury-sized samples and that’s what I want. YET – a sachet of eye cream? I can get sachets of cream for free, you know. I just need to ask for them in the store. Yes I know that eye cream was the sixth product in the bag, I can count. But they sold this month’s Glossybox with the tag “SIX products in one box!”, so… Honestly, if you hadn’t said that and added it as an extra, I would not even mention it. Nagging aside, I think the products are pretty good. If it had come in a box, it would have been among my best boxes so far. What are your opinions on this box? 20% off for Body Shop. 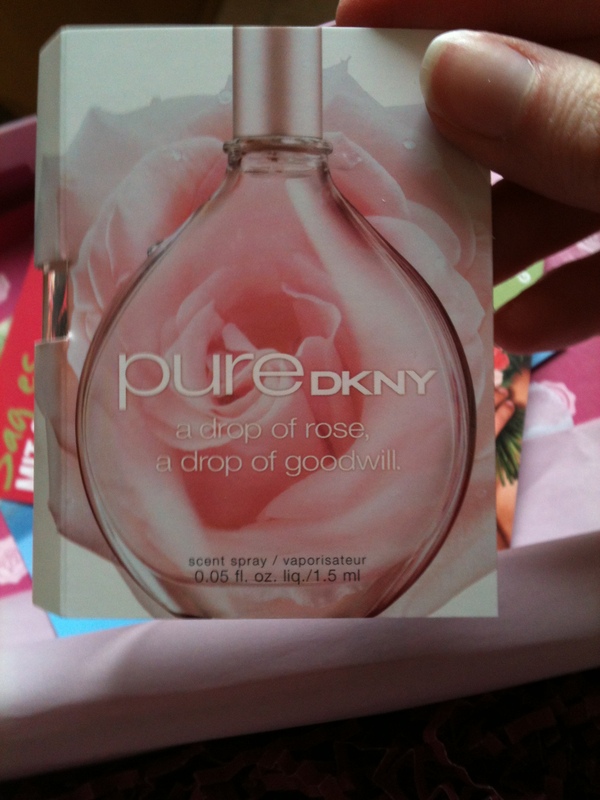 DKNY pure perfume tester as an extra. 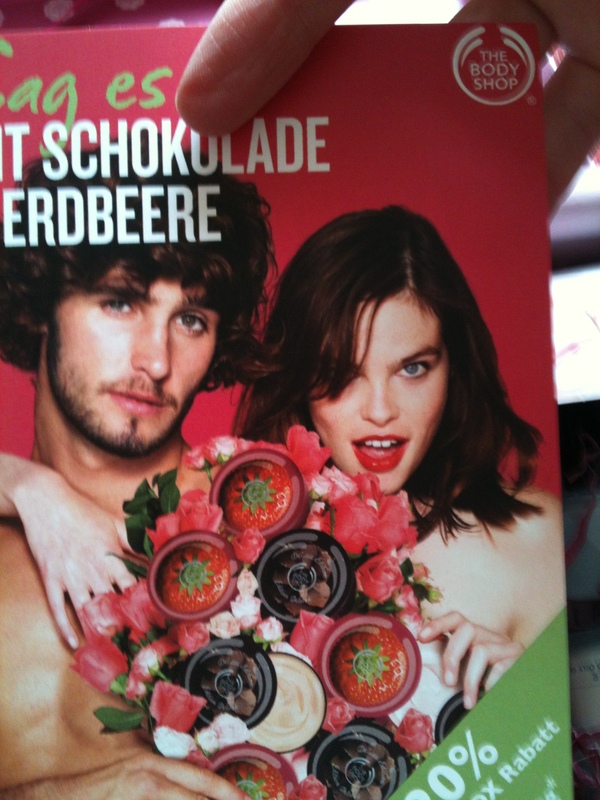 Body Shop Body Lotion in Strawberry Puree. Great, I just ran out of my old lotion this week. Mini size of 60ml. 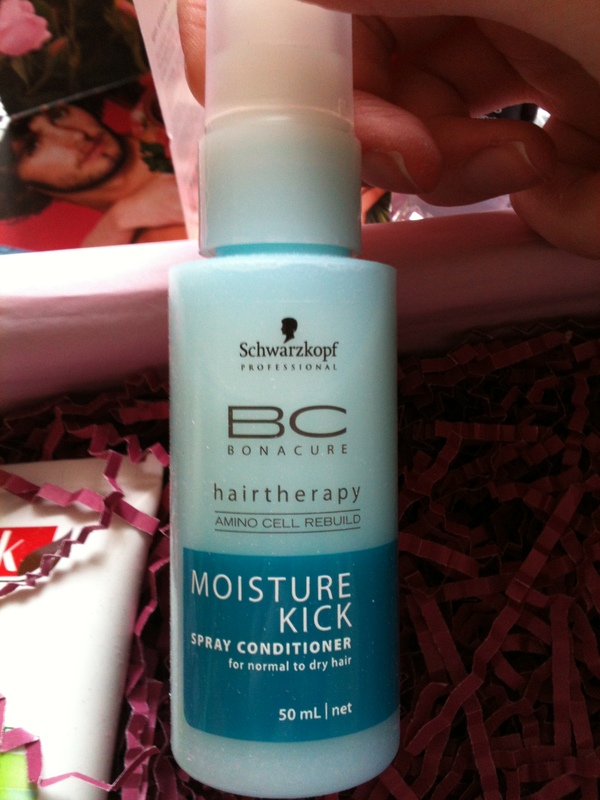 Schwarzkopf Professional BC Bonacure Moisture Kick Spray Conditioner. Sadly, this one is FULL of silicones. I’m only fussy with silicones in my hair and on my scalp, somehow I don’t care when I have them on my face or body, but I really can’t stand them on my hair. Mini size of 50ml. 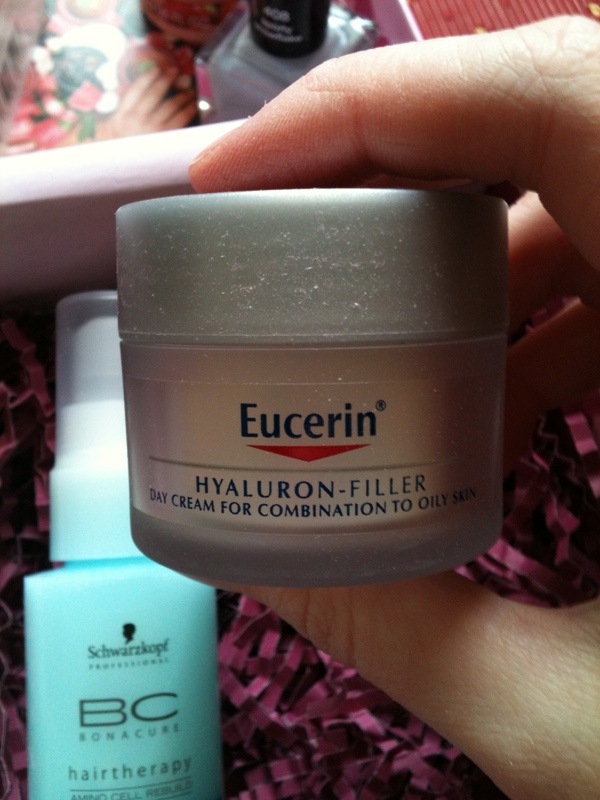 Eucerin Hyaluron Filler face cream for combination to oily skin. 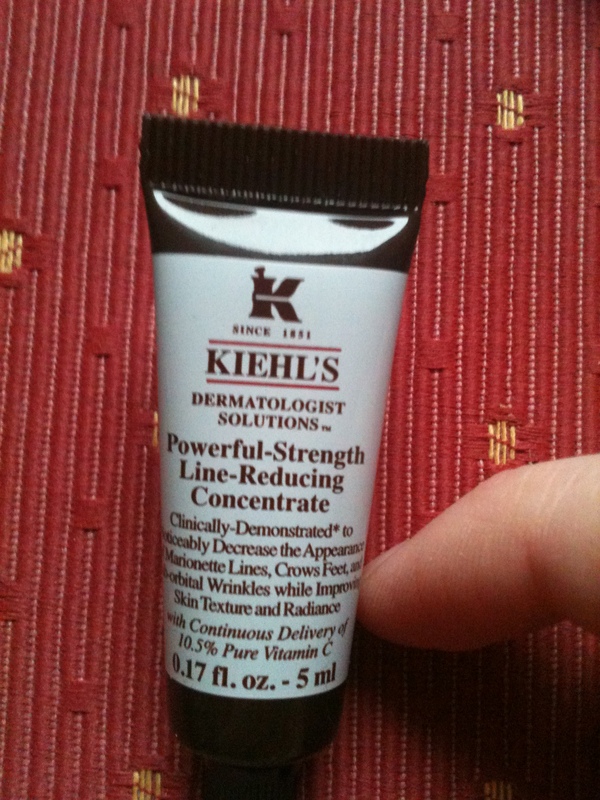 Excited to try this, sadly I still have so many other face creams to try… Mini size of 20ml. 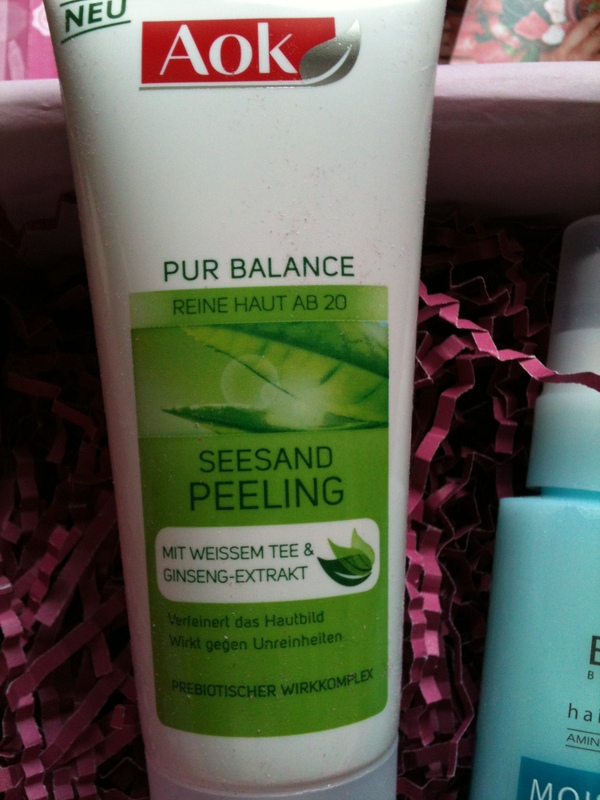 Aok Pur Balance Seesand Peeling. This is a full size of 100ml, oh dear! I’ll never use this up! I’m not the biggest fan of peeling per grains and this has no alpha or beta hydroxy acids in. Well, I’ll see if I like this or not. All in all, the box is pretty ok. I prefer sample sizes to full sizes these days because I just have so many products! And the sample sizes in this box are all pretty big anyway. Glad to see nail polish instead of yet another eye liner.